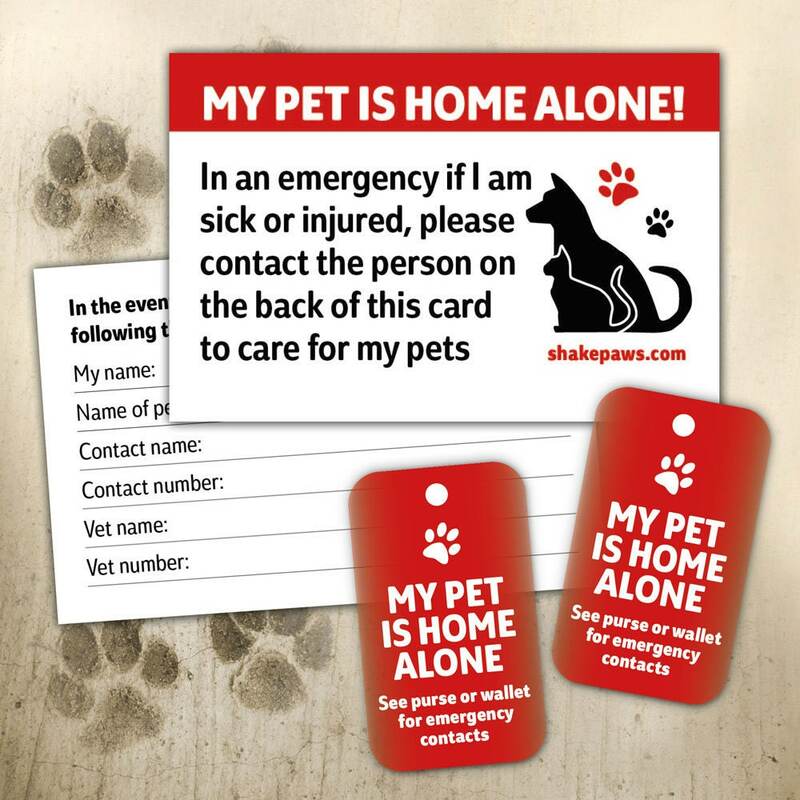 Every pet owner should carry Shake Paws’ compact and lightweight Home Alone Pet Safety Key Ring in combination with our Home Alone Pet Safety Card. Things happen in life that we have no control over. The Pet Safety Key Ring in combination with the Pet Safety card will give you the peace of mind that someone will be there to care for your pet(s) should the unexpected befall you. Would make a great Mother’s Day gift for the dog lover in your life. NOTE: For orders of 10 or more, please select Tracked and Signed at check out. Each unit contains two key rings (does not include split rings) and two cards. For orders of 11 units or more, please send us an email: info at shakepaws.com. Our Home Alone Pet Safety Card is popular all over the world, having sold in Australia, Austria, Belgium, Canada, Denmark, Finland, Germany, Greece, Japan, Malta, New Zealand, Spain, the US, and elsewhere. I love this item, I have ICE cards for myself, but who will know that my dog is home alone? Shipped immediately. Would recommend to anyone with a pet. Very pleased with these, its a great idea. Fast shipping. Exactly as described. Thank you! Fantastic product. Bought to provide peace of mind if I was ever in an accident. I would recommend this product to anyone who lives alone with a pet.